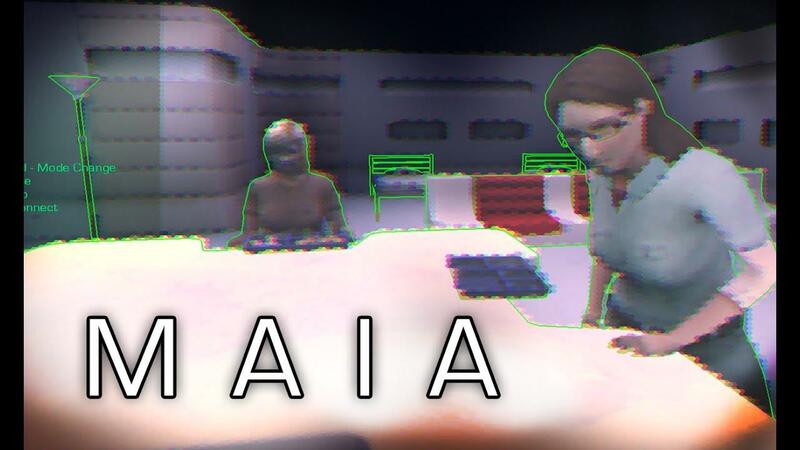 Maia [Official Site, Steam, itch.io], the space colony sim currently in Early Access has another big update with new features, quality of life fixes and bug fixes. More aliens can now breed, so you can expect a family of aliens to be a more common sight. Be sure to prepare more defences and make sure you colony is ready for the onslaught. Your colonists now experience and show off their fear. They will run away from terrifying things and bang on doors of they're locked in a room which. It's the little things, but it really makes the experience and simulation feel a lot more complete seeing things like that happen. Colonists will now sit down at tables to eat their meals together, making the colonists seem a little less anti-social than before. Like the above fear addition, this is yet another feature to make the game feel more complete. Colonist will now learn new skills and get better at them over time, so they can do them better and faster. They can also sit at desks to learn new tricks, making your colony a bit smarter overall. Along with the usual bug fixes, it seems there has been several optimizations to make the game run a lot smoother too. Overall, it seems like a pretty nice release. You can read the full changelog on the official blog. The developer seems to be aiming for a full release in August, which seems pretty ambitious. I tried it out again today and it does seem to run a lot better than before. The AI seems to have improved dramatically recently! The game had been plagued with issues with the AI not building what you tell them to, but this time around it didn't take me long to get a near fully functional base set up. I do have a few wishes for the game, to make it feel more complete. For one, it needs to allow you to zoom out much further, as the viewpoint is currently far too restricted to allow me to actually enjoy looking at my base. Not only that, but zooming out further allows you a good view to plan your expansions. As for the Lava the game introduced previously, it's a massive nuisance. You have no idea where you're going to find it, but once you do mine into it or an earthquake unleashes it, say goodbye to the base you just spent ages building up. If there's one thing that puts me off a colony building simulation with slow progress, it's having it wiped away quickly. You know what's even worse, when your moron colonists try to take a walk through the lava. One colonist died pretty quickly, another ran over seemingly to help, only to also walk into it. Thankfully, lava doesn't last forever and stops flowing after a minute or two, but the damage is done. If the developer plans to continue throwing lava at us constantly, we need decent ways to counter it, since it just melts through everything it seems. I would have locked the door to the room it flowed into, but it seemed to melt away in utter seconds. In 23 minutes: three out of my four colonists burnt alive, my robot melted into nothing and all my crops were destroyed. I want to love the game, but the lava is far too punishing right now, was enjoying it up until that moment too. Really curios if they make that August date. I guess. But in real life, lava is not something that happens just because you dig a basement, which seems to be what's happening here. Also in real life, I expect it would be easy to tell if you were digging close to lava because it would be, like, really hot. So then you wouldn't dig there. I mean, really, even in Iceland I never heard of anyone digging the foundation of a building and accidentally starting a volcano. If a game is going to have lava unrealistically just beneath the skin of the earth which can be just randomly excavated into, maybe it should also be less devastating than the real thing.